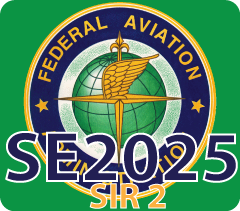 SE2025 provides research, analysis, systems engineering, and integration for the Next Generation Air Transportation System (NextGen) and non-NextGen initiatives. System Engineering, technical, financial, and programmatic support services, and other aviation related support services, that include but not limited to, systems engineering & integration, investment and business case analysis, system acquisition program planning & management, system development & implementation planning & management, System Life Extension Program/Technical Refresh planning, program & contract management, forecasting and business/financial/information management, and other support services for NAS, Non-NAS, and other aviation related efforts that the FAA may require under the FAA Acquisition Management System (AMS). SE2020/2025 is an IDIQ-based contract which issues work to multi-vendor teams via Task Orders with a Performance Work Statement. SE2020 is the portfolio of Large Business vendors. SE2025 is the portfolio of Small Business vendors. The term of this contract is up to ten (10) years including a five (5) year base period, one (1) three-year option period and one (1) final two-year option period.